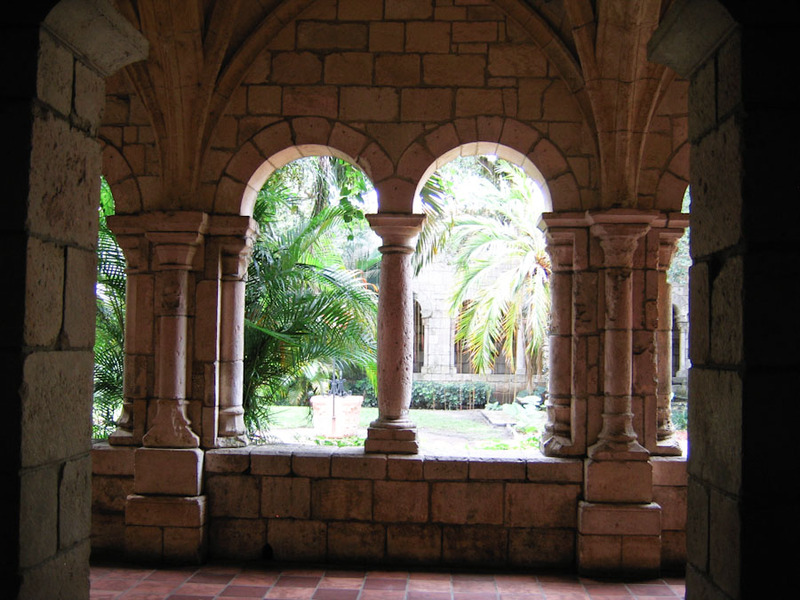 Description: View of the cloister from the chapter room. The monks of this monastery lived by the Rule of St. Benedict. Examples of the Rule of St. Benedict within the daily lives of the monks include silence accept in necessary conversation, lack of private possessions other than what is supplied by the abbot, reading aloud done by one monk during meals, eating two meals a day, manual labor, and being obediant in performing all required tasks.